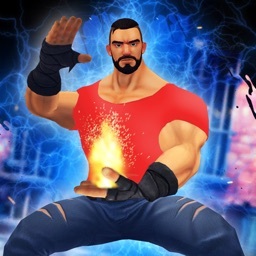 Stunning Endless Fighting Game played with easy swipe controls. Your phone is the arcade machine. No on screen buttons. 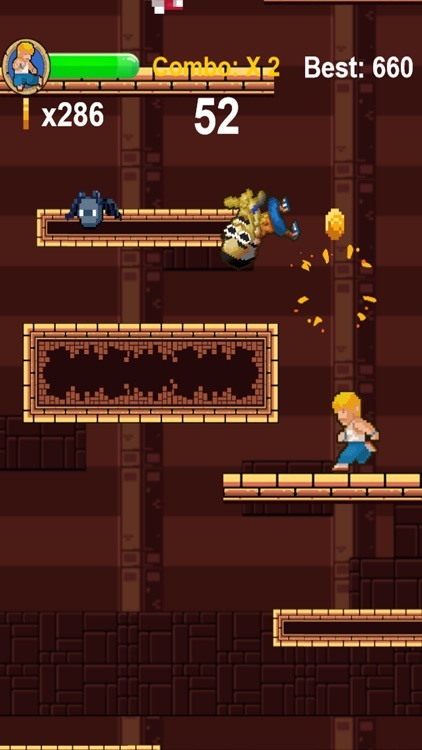 Challenging and Increasing Difficulty level with new enemies as the Game Progresses. 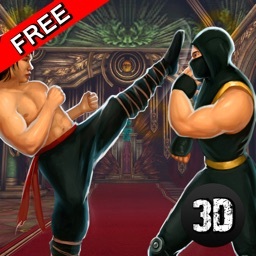 Enjoyable and Exciting Fighting Game Play to release your daily stress with kicking the enemies. 80s style retro electronic music to get in the mood during juicy gameplay. Has the feel of the 80s and 90s like the old arcade machines and home computers like amiga and commodore. 12 achievements to Unlock during gameplay. Compete Against your friends or the rest of the world and become the furious winner in the Leaderboard. 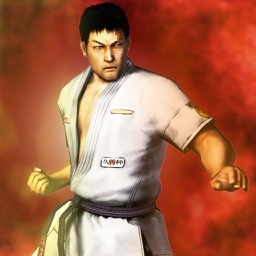 - INTUITIVE ONE TOUCH GAMEPLAY: With an intense swipe and touch controls you can control your fighter easily with one hand actions. 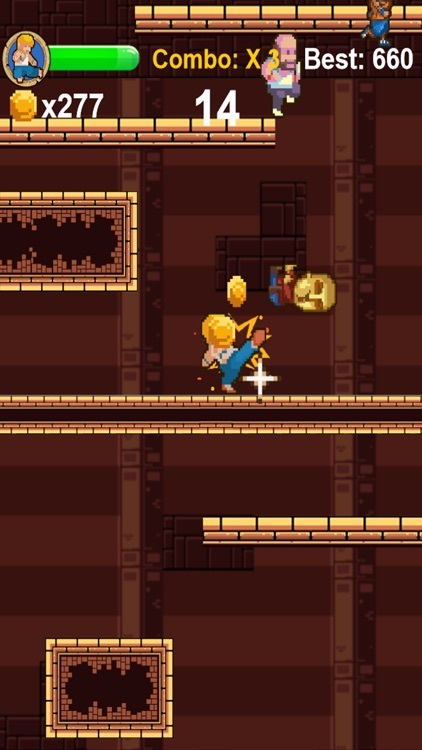 Delicious Gameplay with criminally easy and fun controls. 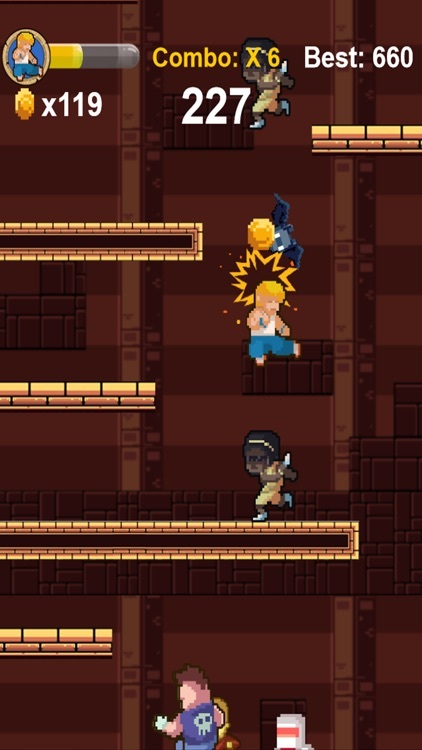 - VARIOUS ENEMIES: Thanks to the intense gameplay your reactions will be challenged by the different enemies with different AI systems. 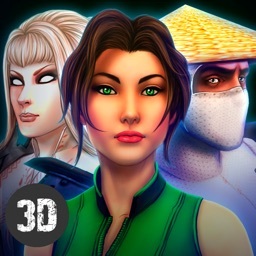 - VIBRANT CARTOON STYLE GRAPHICS: Strike, hit and kick the fighter bad enemies and robot ninja warriors in an excellent vibrant environment. - MUSIC TO SMASH TO: Enjoy the 80s style Retro music. 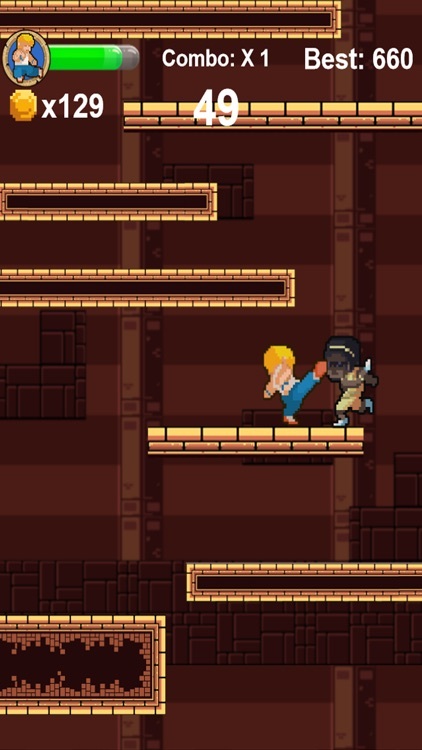 - COMPETE WITH FRIENDS: Take down as many enemies as you can in this Brawler Game.